Stop the presses! 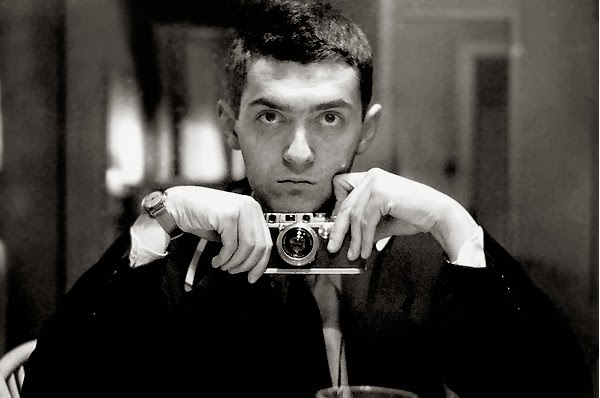 Stanley Kubrick was Jewish? That image of a quiet, reclusive Englishman may have now disappeared. This is precisely why I wanted to include Stanley Kubrick on this list: he does not fit the normal characteristics of a Jew in the film industry. He doesn’t parade around and declare that he’s Jewish. Even those who didn’t grow up religious (like Apatow) still incorporate Judaism into their work. If Kubrick ever did it, it was in a subtle way. Like any good Jew though, Kubrick had a dark sense of humor about everything. Even in his most harrowing works, he still kept his sense of humor. After all, he did direct “Dr. Strangelove,” one of the most famous black comedies of all time. Black comedy is something that Jews seem specifically good at. Jewish history is marked by tragedy and bleak events. Besides work ethic, having a sense of humor was key to survival. Even though he released so few films. Kubrick was as hard a worker as any director who releases a film every year. He just spent all of his time meticulously researching his projects. He is the complete opposite of Woody Allen: instead of putting out something new every year, Kubrick took extra long on each of his projects, which is probably why almost all of them were so masterful. If anybody was lucky enough to catch the Kubrick exhibition in Los Angeles (its traveling to other cities, if you can catch it you have to), then you would have been floored at the amount of thought and research that went into every film he made, as well as every film he worked tirelessly on that ultimately never got made. Among those were a Napoleon project (which will soon be a miniseries on HBO) and a very unique take on the Holocaust. Kubrick was intensely private, but that does not mean that he was this oddball hermit as many seem to think. I think he just liked to let his work speak for him. And while he doesn’t seem like somebody who’d be on a list of the most important Jews, I think it is important to have him on here. While he had no religious upbringing and no mention of Judaism in his works, boiled down, he was a Jewish kid from the Bronx who loved “Seinfeld,” boxing, and (American) football. This entry was posted in Hanukkah, Jewish, Jews, Stanley Kubrick on December 3, 2013 by ian0592.